Microsoft rolled out its technical preview of Windows 10 for phones last week. 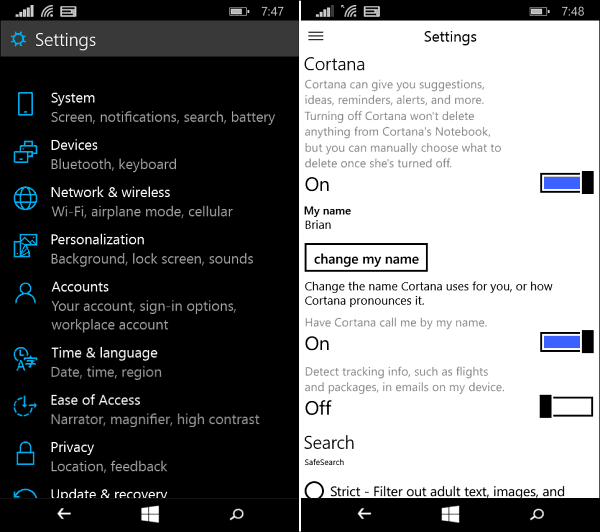 We installed it on a Lumia 635 and can show you the new features to expect. We installed the Windows 10 Technical Preview for phones on the Lumia 635 and here’s a look at some of the new and notable features you can expect. 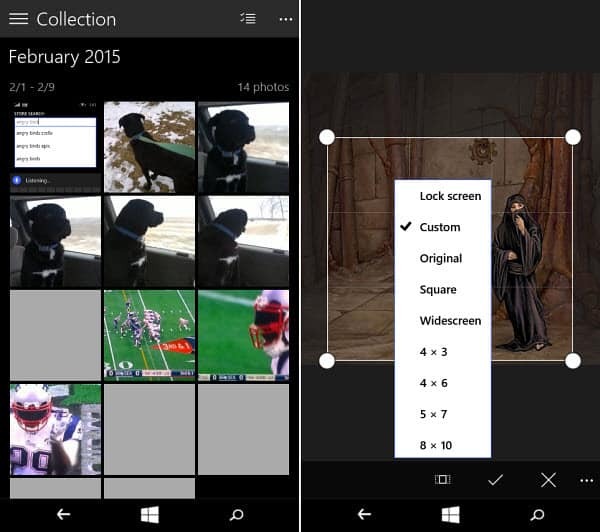 Photos let you organize photos easier and quickly crop and edit them. 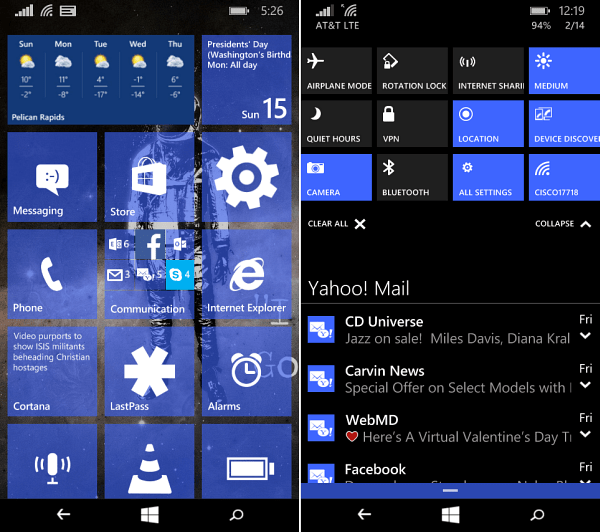 The Start screen provides a different background aesthetic and provides more actions in its notification center. Settings are laid out more logically and are easier to manage. 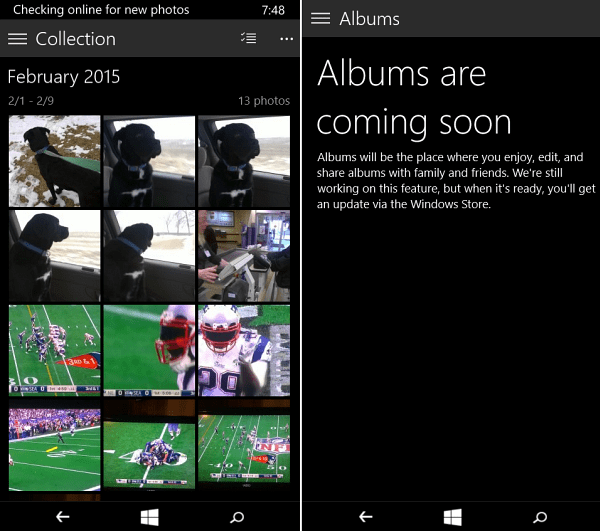 Photos is a developing Universal app that’s similar on Windows 10 for PC. 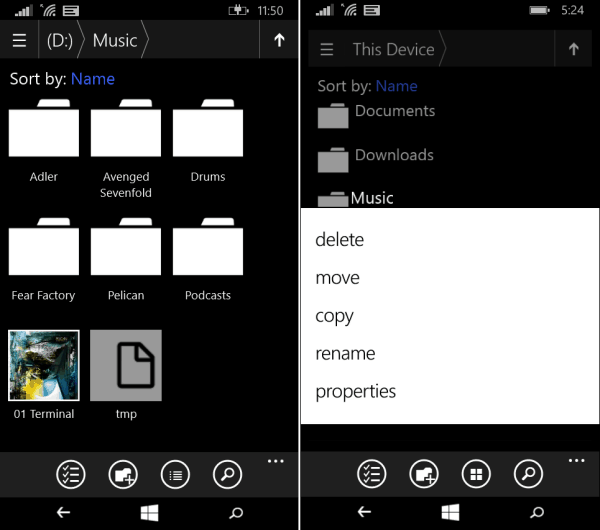 Now you can manage your files and folders stored locally on your phone just like a PC. Microsoft wants feedback from testers. 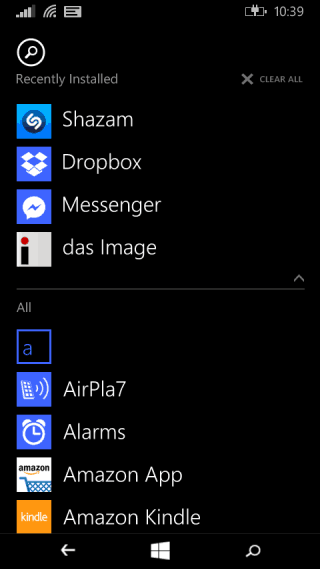 Recently installed and updated apps appear at the top of the list. Microsoft rolled out its technical preview of Windows 10 for phones last week and while, at the time of this writing, the only Lumia phones capable of running it are low to mid-range Lumia phones which include: Lumia 630, Lumia 635, Lumia 636, Lumia 638, Lumia 730, and Lumia 830. Do keep in mind that this first version does have several bugs and stability issues, depending on the model of phone. The good news is if you find that it’s too buggy for your taste, you can roll back to Windows 8.1. 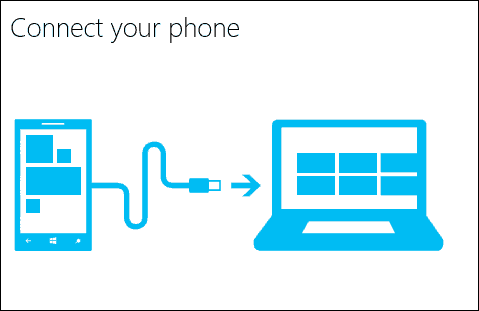 To do so you need to download the Windows Phone Recovery Tool (direct link) to your PC, connect your phone, and follow the on-screen instructions. If you want to test out Windows 10 tech preview on PCs or for the phone, you will need to signup for the Windows Insider Program. 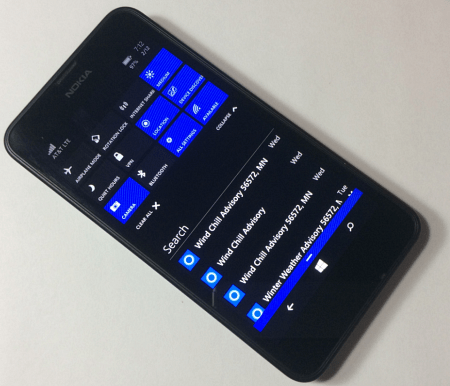 The process is simple and if you want to, read: How to Install the Windows 10 Technical Preview for phones. We have a feature that will be coming soon called “partition stitching” which will allow us to adjust the OS partition dynamically to create room for the install process to be able to update the OS in-place. Until this comes in, we needed devices which were configured by mobile operators with sufficiently sized OS partitions to allow the in-place upgrade, and many of the bigger phones have very tight OS partitions. 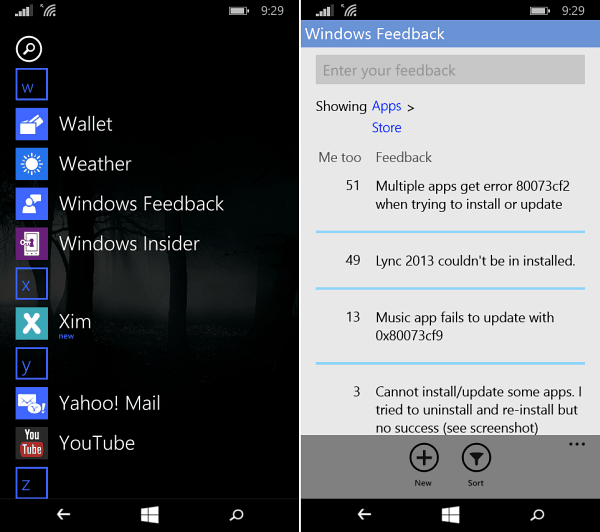 Have you installed Windows 10 preview on your Windows Phone yet? How has your experience been so far? Leave a comment below and tell us about it. Also, remember that when everything is ready, Windows 10 will be running on phones, PCs and tablets, and in the living room with Xbox One. I hv install WP 10 on my Lumia 630 DS. Its working great. Some of the functions are very useful. Text to speech is excellent. Calculator, Alarms & sound recorder are new additions . Except sound recorder rest are working very fine. Yeah I read about some models that are difficult to install it on. Just remember this is the first release and it will become more stable over time.